Home > National Politics	> Will the future of the British Monarchy be decided by the same motivations that have created today’s political crisis? 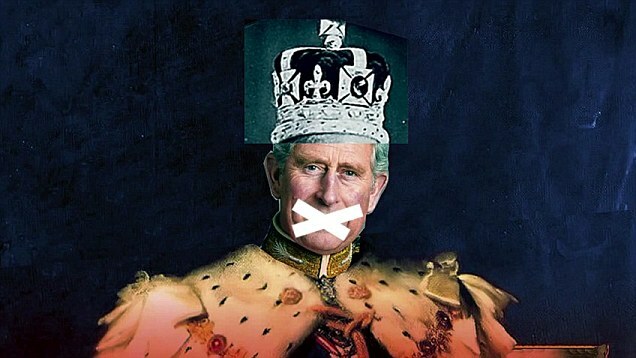 Will the future of the British Monarchy be decided by the same motivations that have created today’s political crisis? Have a conversation about the Royal Family, and it will almost certainly conjure up a different set of thoughts for each person you speak to. For me, being brought up within what we might now quaintly call a Royalist household, the existence, role and history which led to the tenure of our current Monarch never really came into question. For many, it has no doubt been the same and for some of those will surely continue to be so. The Queen is of course a figurehead for us all. One that we admire and respect. A non-political head whom we identify our whole culture with; a point of reference we share in common, no matter what our background or the differences between the rest of us that exist within the different lives that we all have. The British Monarchy works today, primarily because the Queen is seen and experienced as being above politics, entrusting the decisions of Government to the people who have themselves been elected to represent the population on their behalf. It is the impartiality that the Queen has which defines her as non-partisan and not affiliated to any kind of political calling or movement. To do otherwise would itself be an incredibly divisive act in terms of the way the Monarch is seen in the eyes of the whole population, and would in all likelihood be very reminiscent of the situation that existed at the time of the Civil War, when King Charles I effectively took sides against some of his own people as he fought to maintain the right of absolute monarchy. One of the greatest threads to the argument of Britain’s republicans today, would no doubt be the injustices brought upon others by the privilege which hereditary elevation and therefore gifted responsibility bestows upon the few at what to some will be the perceived cost to the many. The current popularity of the Queen, complimented by the existence of a younger generation of Royals who people feel more able to identify with, has safely put the issue of reform of the Monarchy to one side for now. But if the balance that the Queen has so effectively stewarded through during her reign – even through the very difficult period of the late nineties – were to be disrupted, the resultant change could see the role of the Royal Family becoming very different indeed. It therefore comes as some concern that Prince Charles has began making it known through his ‘contacts’, that he doesn’t intend to be quiet in the same way as his mother when he in time ascends the Throne. In an article in today’s Guardian, the Prince is arguably portrayed by his supporters as having a unique and perhaps even cutting edge insight of the British People, and as such is suggested to be in the ideal position to inform Ministers and indeed Government on the issues of the day. There is no doubt that the Prince of Wales has made an invaluable contribution to our society through the Charity work that he has done. But to say that this in itself would be entitlement enough for a Monarch to resume a level of influence in Government which hasn’t been seen since around the time of the reigns of his namesakes could prove to be very dangerous indeed. One such example of the areas where the Prince may want to bring influence to bear would perhaps be illustrated by the recent article he wrote for Country Life Magazine, in which the Prince said that people are losing their connection with the countryside and only have a ‘vague understanding’ of what farming is about. The Prince also highlighted the closure of Village Shops and Pubs and drew emphasis on it being perhaps three of four generations since a good number of people worked ‘on the land’, with the inference that it is the directly associated lack of understanding and affinity with rural life which may be the cause of the problem. He is certainly right. But only in the sense that these are symptoms of a much broader issue, which in this case relates to a range of factors which include mechanisation in farming, improving access to transport and the reality that the world has moved on a long way from the time when people most often spoke to each other face to face; didn’t have the internet or Smartphones, and would travel to a shop or service based in their local village centre and communicate with everyone in their own worlds as they did so. Good politicians and certainly good Ministers would know and relate to the issues which form the basis of a problem like this; would understand not only the impact on rural life and the inter-dependency of such a wide range of factors and influences. They would also most certainly be thinking about the ways of addressing it. For a Monarch to even attempt to advise or influence a Government on any issue, however passionate they may personally feel about it, or however inept or incompetent that Government might seem to them to be, would arguably be to do nothing less than demonstrate that they have greater designs for their role than the status quo will allow. The frustration that the Prince has had and clearly continues to have as he waits for his moment of destiny have been well documented over a long period of time. We have already been made aware of his meetings with Ministers and the debate over whether their content should be made public, and whilst in light of the questions already raised within this discussion, it should arguably be the case that nothing other than official meetings take place, we should remember that very few of us would not find at least some difficulty in the idea of turning down the request for a meeting by the first in line to the Throne. To date, the details of these meetings have been kept quiet. But it is likely that the decision to keep the content from public view would only remain sound for as long as it only serves to protect the Prince from the potential of embarrassment or unnecessary and unhelpful media scrutiny. It would not continue to be so if he has indeed influenced the policy of any government at any time. History and the news today would suggest that the Prince does indeed intend to be as good as his ‘contacts’ words. If he is, he could create a constitutional crisis of a kind which will not serve to do any of us any good at all, and at a time when the political classes are themselves demonstrating little more than a self-serving will to have their own voice and ideas considered first, whilst they ignore the greater realities and impacts of their own interpretations of life upon all of the people that they collectively represent. In time, the British Monarchy will almost certainly have to change and become ever less aligned to the anachronistic system from which formal democracy was born in the 17th Century. There are plenty of people who would be happy for this to happen right now, without any real regard for the consequences for us all. Let’s just hope that a future King Charles idea of what it will mean to be Monarch doesn’t give them the reason and the necessary public support to deliver that vision.